This is a 'no knead' bread but it is not by any stretch a 'no stretch' bread and therein lies the difference. 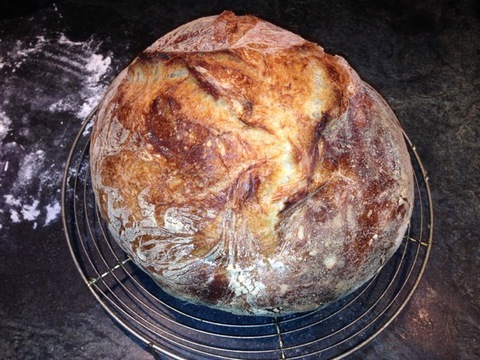 This impressive loaf is the "Overnight White Bread" from Ken Forkish's book Flour, Water, Salt, Yeast. 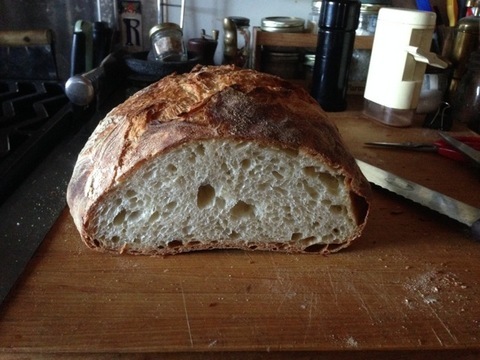 It boasts a crunchy/chewy crust, full flavor, and open crumb without the pastiness of the no knead bread and yet it's proportion of ingredients is nearly identical, the only difference being half the yeast. Analyzing why two breads with the same hydration and ingredients would be so different I concluded that it had to be the way in which the Overnight White Bread is manipulated. 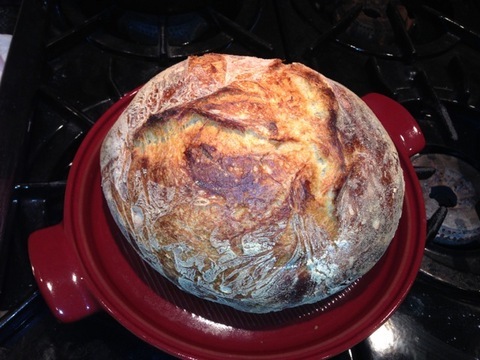 Whereas the No Knead Bread is mixed by hand and then left to rise until shaping, the Overnight White Bread is stretched and folded several times. 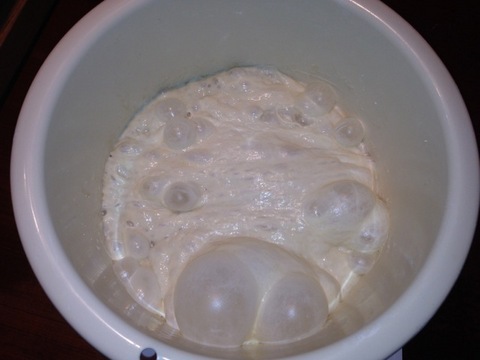 This technique enables the bread to maintain its gas bubbles by strengthening it's structure and changes the way in which the bread ferments. 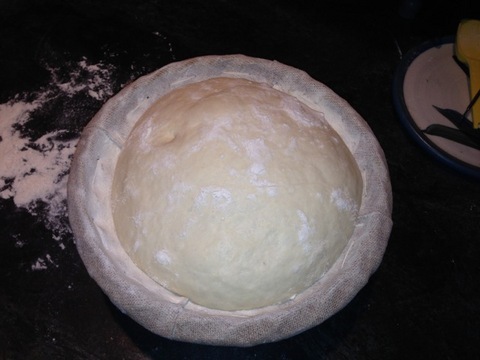 One would think that half the yeast would result in a slower rise but, in fact, the suggested rising time is 10 to 12 hours compared to the 18 hours of the no knead bread. The informational and instructional writing in this book is a brilliant model of clarity. I was so deeply impressed I looked forward to the day when I might meet the author. The opportunity arose at the International Association of Culinary Professional's awards ceremony in San Francisco where Forkish won the best baking book. In a room filled with people, by some miracle I found him. He smiled, reached out his hand, and although it pained me to do so, in good conscience I explained that I had a very bad cold and didn't want him to catch it. His eyes widened in horror and he physically recoiled as I tried to tell him how much I admired his work. Winter Pies Are The Best!